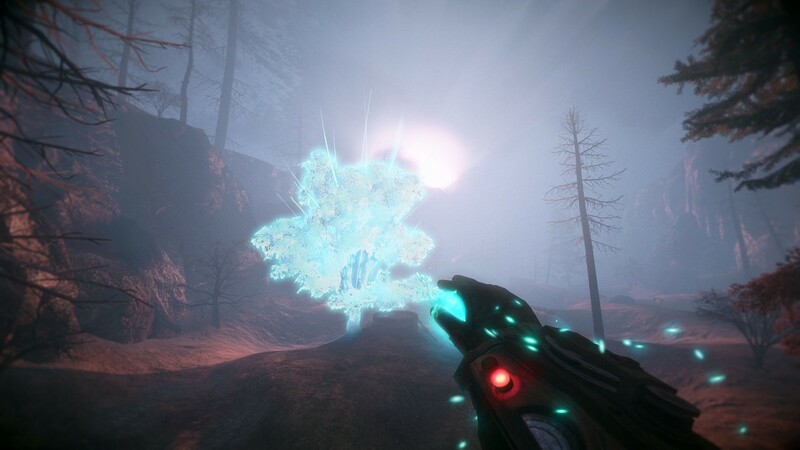 Valley is a first-person adventure game where the player uses the L.E.A.F. suit to traverse around the world of the game. The L.E.A.F suit gives the players the ability to run fast, jump high, and even the ability to run on water, along with a handful of other abilities that you collect throughout the journey. The game’s story centers around learning about a military operation set during World War II that takes place in the valley and the events that unfolded throughout the years, and with the military involved you can be sure that the reasons for being in the valley are not the most peaceful ones. My expectations for Valley while jumping into it for the first time, were very much that of a game that would be similar to that of Blue Isle Studios previous game, Slender: The Arrival. Slender: The Arrival was a first-person horror game with a slow pace focused on scaring the player and with that in mind I was expecting much of the gameplay of Valley to be on par with that of Slender but what I got was something quite different and very enjoyable. Feeling like a Superhero – The aspect that I enjoyed the most during my time with Valley was the overall gameplay of the game. 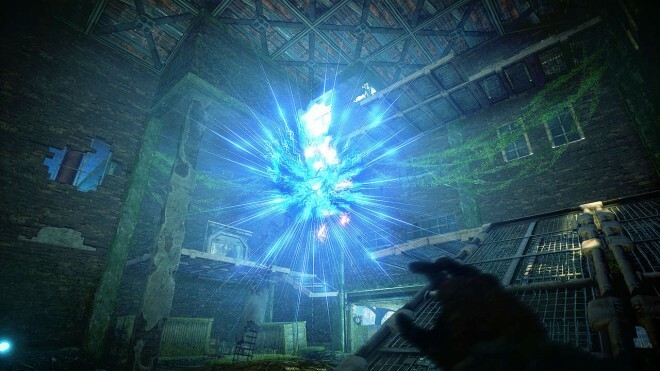 For the most part, the game has the players traversing around the world to get to a set location, in order to move about the valley, players will need to use the abilities of the L.E.A.F. suit to effectively move about the world. Running fast and jumping high are the most basic components of moving around the world, while new aspects of traversal based puzzles are slowly introduced throughout the game, sprinting and jumping remained the core aspects of the game and I never tired of them. 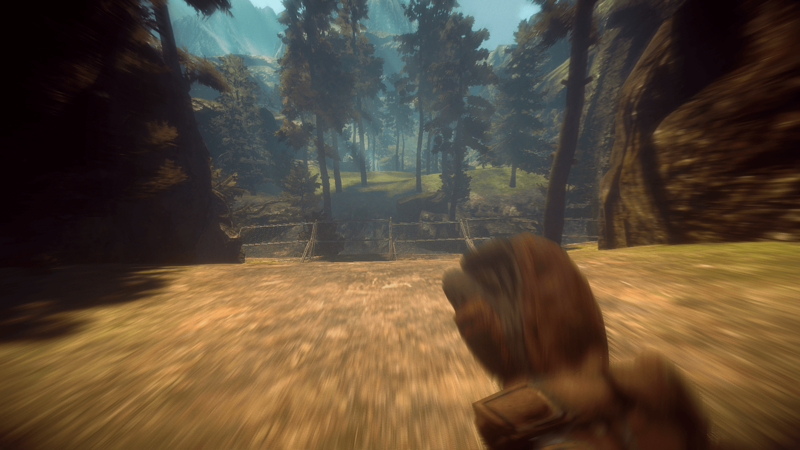 Momentum plays a large part in the game, while sprinting downhill, the character gains speed and moves even faster and if the character runs up a hill they move much slower. The first time you run down a hill gaining speed and jump perfectly off a ramp and soar through the sky gazing around at the scenery in the game is a fantastic moment. At times the game made me feel like I was the Flash blazing through areas at amazing speeds and at other times it made me feel like the Hulk jumping high into the air. The basic moving around in the Valley was an aspect that I did not expect to feel as good as it does, just moving around in the game is a enjoyable experience that many will have a lot of fun with. Living off the valley – One of the unique mechanics of Valley is the players ability to bring life to dead animals or trees or take life away from it. These mechanics play a key role in maintaining your ability to move around in the world and how dying in the game works. Whenever your character dies in the game via jumping into water or into a bottomless pit, the character is resurrected at the cost of the valley itself, in other words the valley is the players health bar. By bringing life to dead objects, players can return life to the valley which also means returning health back to the player. If you die too much than it is game over for both you and the valley itself. The L.E.A.F. suits abilities are charged by orbs that players will find scattered throughout the game along with upgrades and other side items. The life and death ability also plays a role in the limited combat that is in the game, as you try to bring life to calm angry swarms, called Amrita Swarms, as they will attack you unless you calm them down along with other enemies in the game. The command over life and death in the game is a cool idea that I felt worked well with the themes of the game and the overall plot as well. Enjoying the scenery – Valley is a good looking game but also not a graphic powerhouse by any stretch, still though, the game has numerous vistas that are quite beautiful. While running around the areas in the game I would occasionally look around and enjoy the scenery of the valley. If I wanted to make the scenery even better I would blast some dead trees to life to make the environment even more lush with life. Early in the game, the player is tasked in helping an ancient tree grow in order to produce a Lifeseed, once you fully grow the tree, the tree towers above everything else in the area and is quite breathtaking to look at. Later in the game you’ll find yourself in more industrial areas than lush forests but the scenery early in the game and a couple of other sections later in the game, provide some good scenery for players to enjoy in-between the running and jumping like a superhero. Unneeded combat – As I mentioned previously, there are enemies in the game and while I didn’t feel like the combat was bad by any stretch, I also felt liked it served very little purpose other than to give the player something else to do besides platforming about the world. These enemies do play a part in the story of the game but overall I felt that including them hurt the story more than anything, as they felt shoehorned in at times rather than a smooth inclusion into the story. 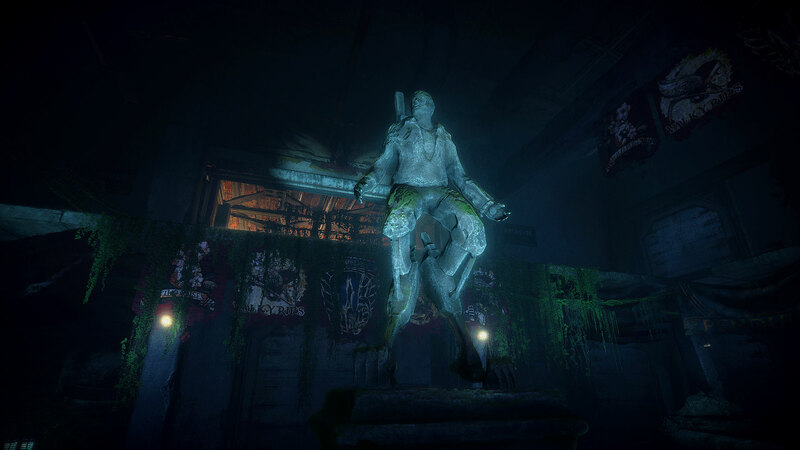 Having enemies for the player to deal with felt like it added very little if anything to the game, as I would have preferred that they just stuck with the solid gameplay mechanics they already had in the traversing abilities. Disappointing conclusion – The story of the game kept my attention throughout and while I wouldn’t say it was a really good story, I would say it was engaging enough that I was curious to see how everything was going to unfold at the end. That curiosity turned to slight disappointment as I watched the end credits. Aspects of the story that I had hoped would be fleshed out more, simply were not and left me feeling a little dissatisified with the ending. The overall story is good enough to keep players engaged, with solid performances by some characters and intriguing concepts, that while a little far out there, where unique and grounded enough to enjoy. Valley is a fun and enjoyable game that will keep you engaged for the majority of the five to six hour journey. The abilities that accompany the L.E.A.F. suit are a blast to play with and help set this game apart form other first-person adventure games, the first person platforming segments worked well and the new abilities that the player gets throughout the game add a little needed spice just when the game needs it. Besides for a middling story and a disappointing conclusion, along with a somewhat unnecessary combat element to the game, Valley delivers a very enjoyable experience that most players will have a good time with. Valley was developed and published by Blue Isle Studios on Xbox One. It was released on August 24, 2016 for $19.99. A copy was provided for review purposes.